on todays episode I discuss whether ketamine can kill. There’s a myth going around that ketamine when given medically is so safe that its impossible to kill a patient. The myth goes that above a dissociative dose, any extra ketamine will cause only prolonged effect and no other adverse reactions. This is not true. Ketamine is a mild respiratory and cardiac depressant. The more you give, the more depressant effect. It is certainly potentially lethal when given to alcohol intoxicated patients and extreme caution needs to be taken in this group. On the podcast I discuss a recent death of an American police officer who was alcohol intoxicated during his birthday party, then became agitated and fellow officers called then an ambulance. It was decided he might be suffering from Excited Delirium syndrome and ketamine sedation was chosen as per protocol . There was a question raised if alcohol intoxication was risky with ketamine but this was discounted. Soon after sedation, he was placed into the ambulance but suffered a cardiac arrest en route. 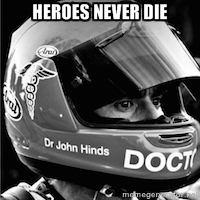 Despite resuscitation he died of hypoxic brain injury a few days later. The medical examiner report evidently found no obvious signs of Excited Delirium Syndrome nor any other drugs in his blood apart from alcohol and ketamine given. It was ruled accidental death by mixture of alcohol and ketamine. So be careful with your ketamine sedations! @ketaminh @DrHowieMell yup, happened to me last month. Agitated from EToH (confirmed) + ?. 400mg, in 78kg pt. IM dose. Apnea for 45 sec. An autopsy report from the medical examiner points to a deadly combination of alcohol and medically-administered Ketamine in the death of Deputy Willard Truckenmiller. 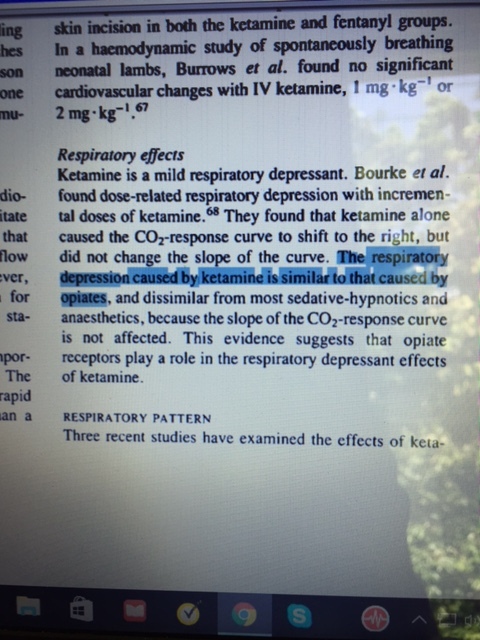 Opioid receptors-mediated respiratory effects and antinociception after S(+)-ketamine.